Advanced cancer brings with it a completely new way of living. You have probably had to make many changes since you have been ill.
Everything that you are going through is bound to take an emotional toll on your body. You may be in a lot of pain, and are having to deal with that. Going to see your physician, and being in the hospital, has interrupted your life. There are so many things that you are dealing with, that you may feel overwhelmed. It would be good if you could get some relief from everything. You should go to a massage therapist for treatments. This kind of therapy will help you relax, and it will help you deal with the pain from your advanced cancer. It can also help your emotional health. Reflexology goes all the way back to ancient times, and it involves the massaging of the feet. There are certain points on your feet, which if massaged, will comfort you when you have advanced cancer. This type of massage will help to ease your pain. The anxiety that you are feeling about your advanced cancer will wash away when your therapist touches the right pressure points in your feet. There is proof in clinical trials that reflexology is a beneficial treatment for patients with advanced cancer. Myotherapy will help to relieve your pain and it gives you tension relief in your muscles. This massage therapy targets the trigger points in your muscles. These points are in your muscles tight bands. These points affect different areas in your body. Getting your trigger points massaged can relieve pain in adjoining areas to your trigger points. The Swedish massage technique works to loosen your body’s muscles. In this massage, your massage therapist will use smooth strokes across your body to relieve stress. They will also use a technique of kneading and squeezing to stimulate your muscles. When your muscles get tensed they keep your blood from flowing freely, and this could cause you to feel more tired than usual. By applying pressure to your body in different areas, your massage therapist can help to relieve even the most chronic pain. You may want to request your massage therapist to use Japanese massage, when massaging you. This massage manipulates the acupuncture points in your body. They will also massage your meridians, because doing this will send energy throughout your body. Japanese massage is along the same lines as acupuncture. When doing Japanese massage therapy your therapist will not only use parts of his hands to massage you, but also their knees, feet, and elbows. Any of these techniques will be a beneficial part of your therapy, for advanced cancer. You will want to make sure that you go to professional massage therapist. They will need to be someone that is used to treating cancer patients, because an untrained therapist can do more harm than good. 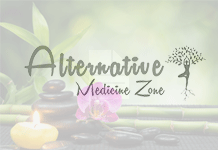 Next articleAcupuncture Side Effects: Are There Any I Need To Worry About?